As this is our last post before the big day, we would like to thank you all for supporting our lovely blog and the team and Polkadoodles - we truly appreciate all your love and support every week and love bringing you all our Tuesday inspiration and mega deals each week. 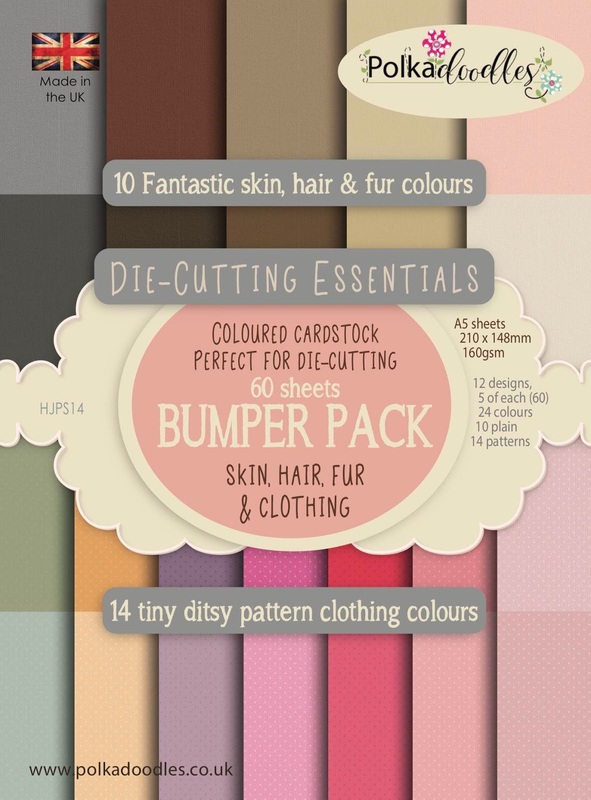 8 Fantastic new Die Sets to get your mitts on - fill your Christmas stocking, they're selling really fast! Yvonne - Hello! This is the final week of Digi Choosday for this year and I guess it is fitting that the Design Team where asked to think of the theme 'Thanks'. So thank you to everyone who comes past each week and takes part in our challenge. 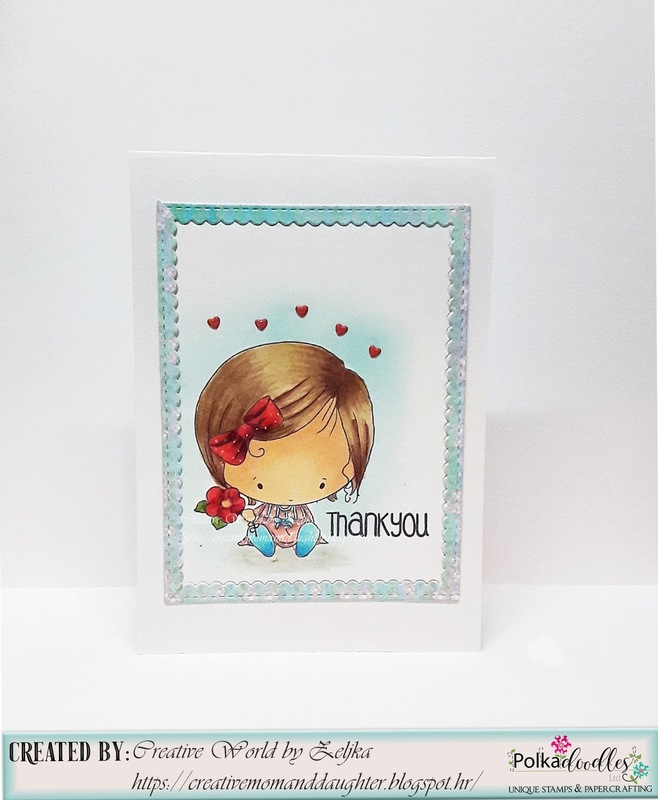 For my card this week I used the wonderful 'Winnie Fruit Punch' which you can browse following this link here. 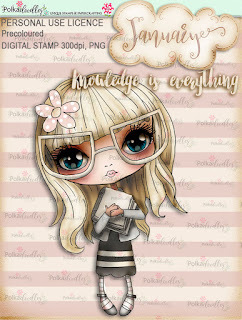 I opted to use 'Make a List' - which you can get the single B&W digi stamp here. 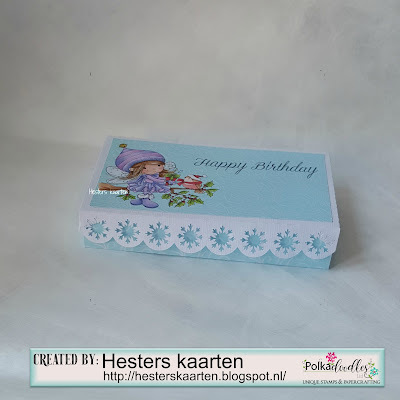 I made a 7x7 card using papers from Winnie Sugar Sprinkles - which is available as Paper Heaven 1. The word art 'Thanks' and the flowers are also from Sugar Sprinkles and are here and here respectively. Winnie is coloured with Copic Markers, full details on my blog. 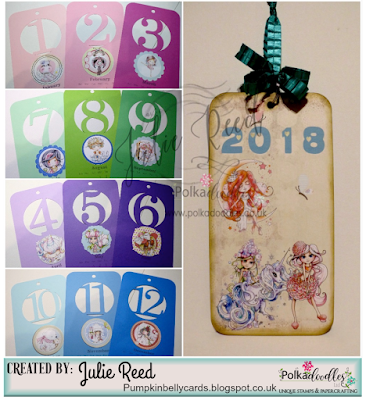 Anjie - I have used the Winne White Christmas collection to make this, actually the alphabet from the collection. I printed all the letters out onto glossy paper and fussy cut them all out. 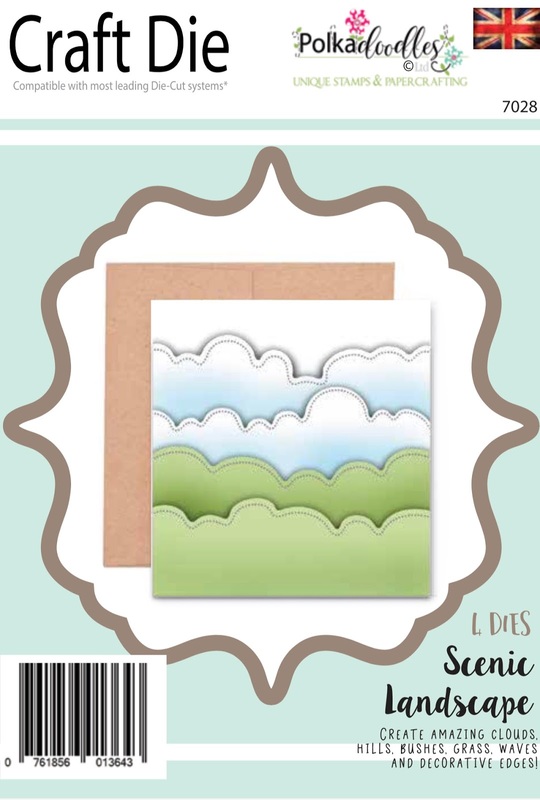 I used some simple matting and layering on this to keep it simple and be all about the thank you. 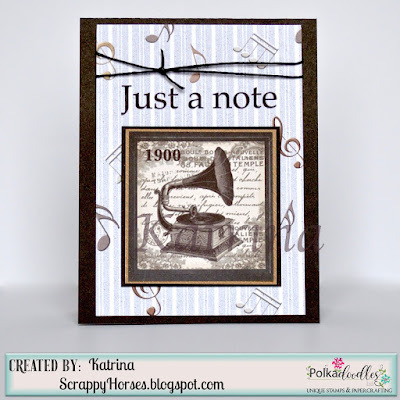 I've also used the Polkadoodles Flower Flourish die, and the Polkadoodles Flower 2 die. I've actually made two of these, one for my cuzzie for having us for Christmas, and one for our friends for having us over for New Year. Julie Reed - For my Thank You make I have folded a 12 x 12 double sided paper to make a frame and used a pre-coloured image and sentiment from the so sweet Winnie Sugar Sprinkles. 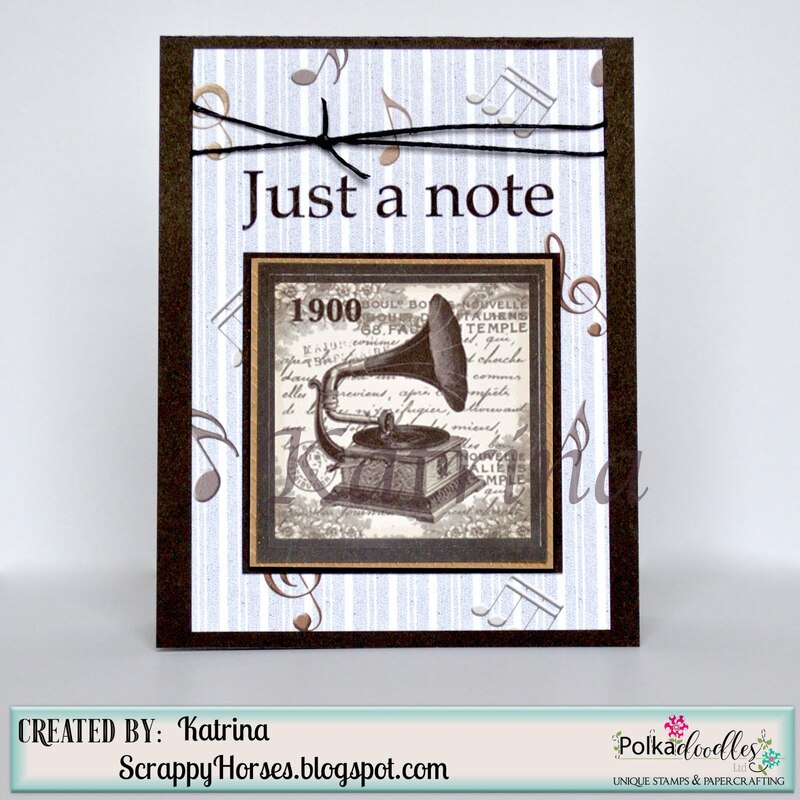 Katrina ~ My thank you is for my Father in Law. The focal point and musical symbols are all from Work & Play 8 Feel the Music. The background stripes are from Winnie White Christmas. The sentiment is from Winnie Fruit Punch. Hester - Thanks everyone. 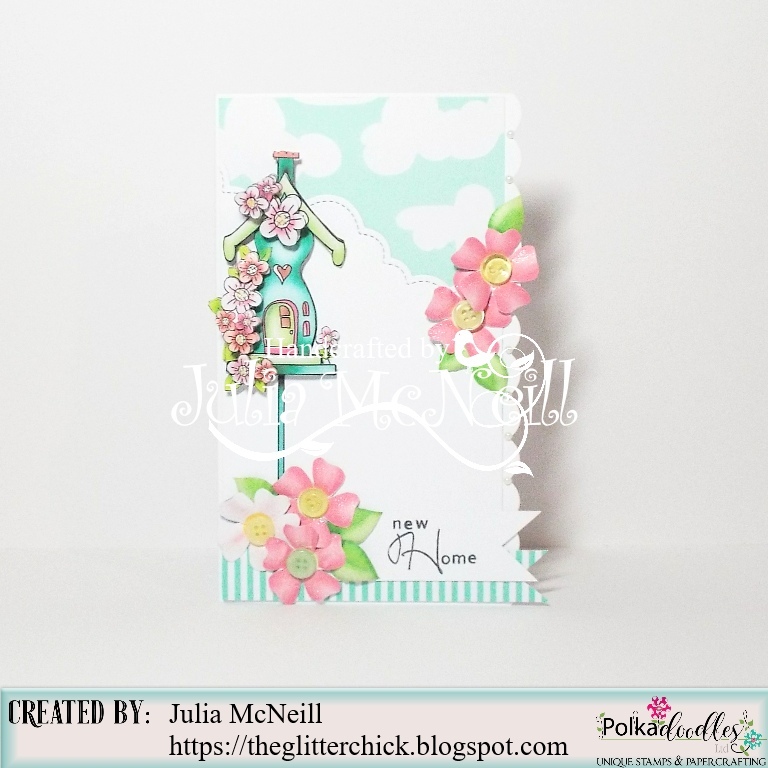 For this week I made this Thanks card from several sheet and paper from the Winnie Sugar Sprinkles kit. 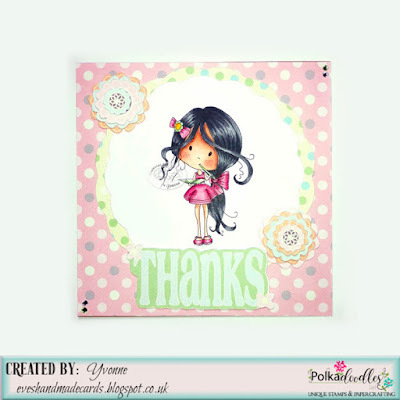 Jane P- This week I used the Lil Sugarpops #2 collection for my "Thank You" card. Thank you to all my wonderful Team Mates and for you Nikky. Claims must be received by 29/12/17, please refer to Challenge rules at top of blog. Please email us HERE quoting DCW500001 to claim your prize of 3 digi images from the digi store! Merry Christmas - we hope you all have a wonderful time with your loved ones and we'll see you back here on 2nd January for the next challenge! 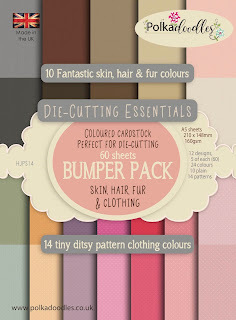 8 Fantastic new Die Sets to get your mitts on - fill your Christmas stocking, we predict fast sellouts! Anjie - I used the Frosted Winter collection. 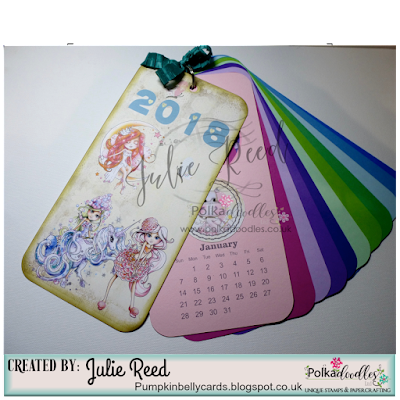 I think the colours on this are just perfect for this time of year, and they are my fave colours too! I lined all the letters up using My Craft Studio so I could get them all the same size and on the same line so they were level. I then printed them out and cut using my scissors. I layered up a few flowers and added some stamens and some foliage to add some extra interest. I finished it off by adding some gems in the top corner and around the numbers. Yvonne - Hello! This week I went with my most favourite collection ever and that is Serenity. You can browse the digi downloads here or get the CD here. The CD collection has the precoloured images on them and I just looked and there is a MASSIVE saving here. 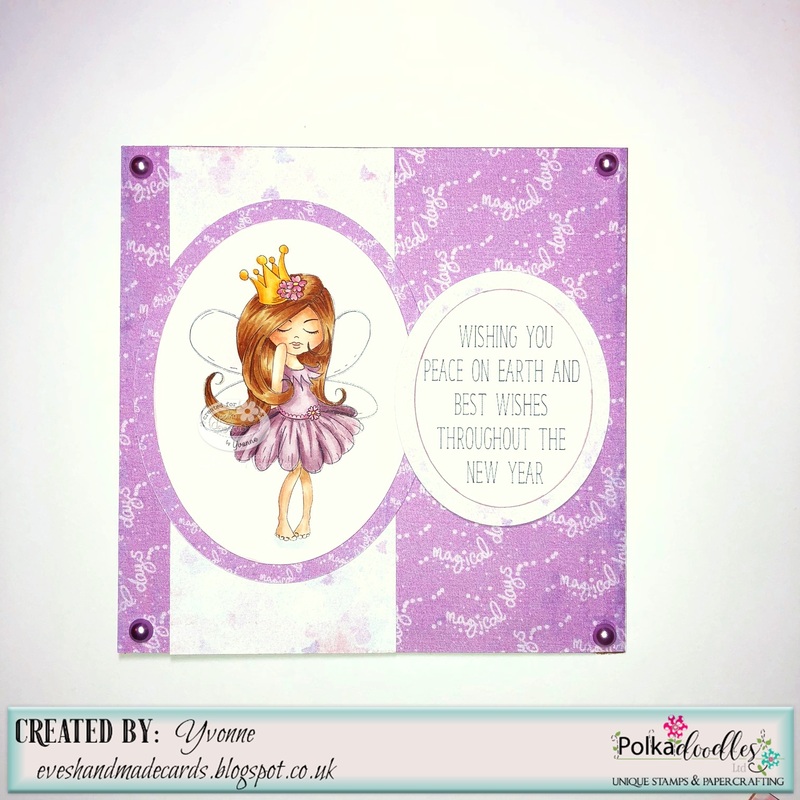 For my 'New Year' card I used Serenity Princess which you can find here. The papers are also from the collection - full details on my blog. 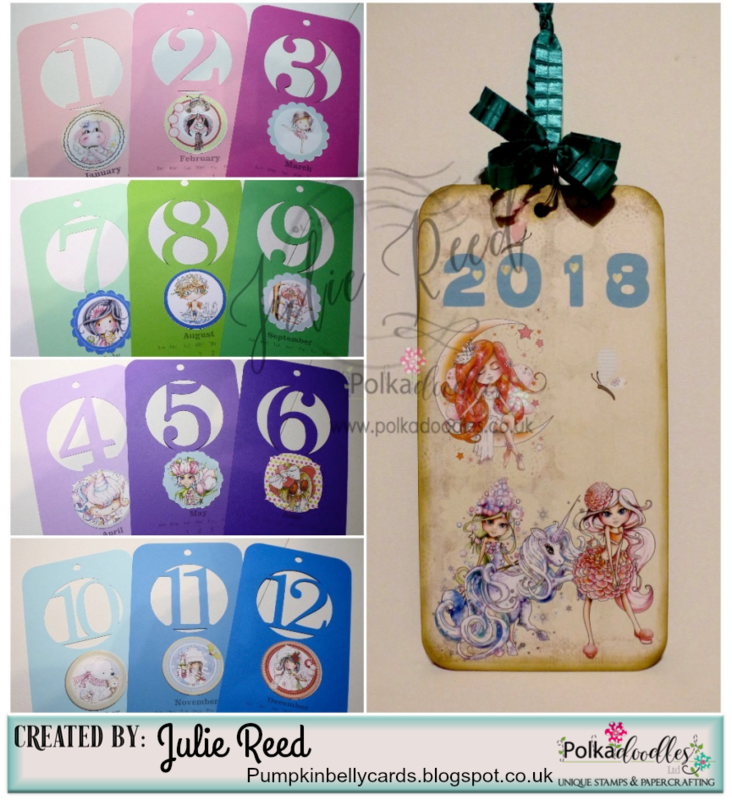 Julie Reed - I think I have used an image from 9 different collections to create my 2018 Tag Calendar. You can find all the collections in store HERE. and paper is from the Winnie White Christmas kit. 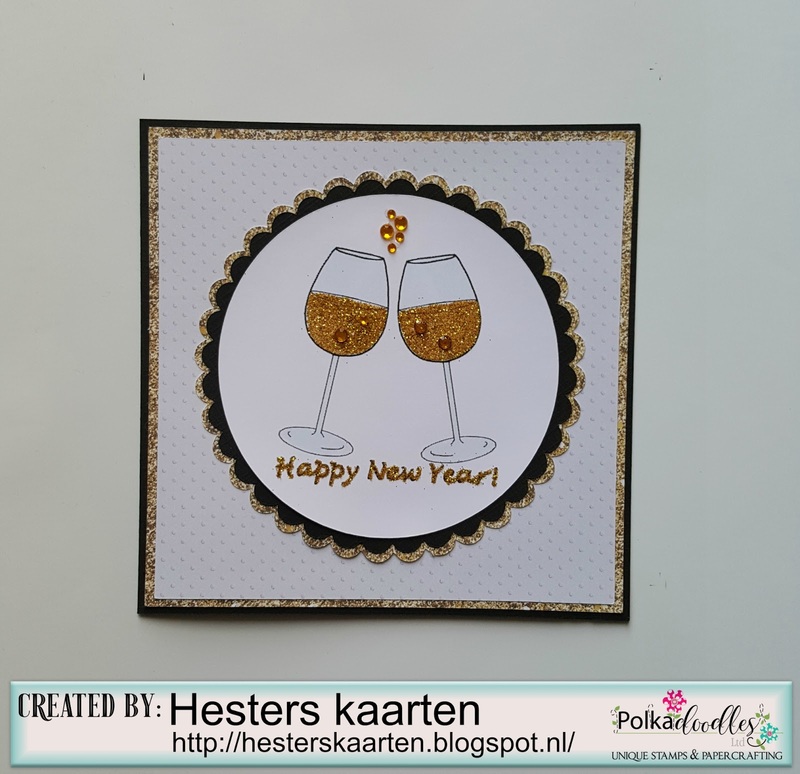 Jane S - I have made a Happy New Year card using the fabulous Oddella with Bag and numbers and one of the fabulous chalkboard sentiments from Picknix 3 - Nordic Winter. The paper is from Horace & Boo. 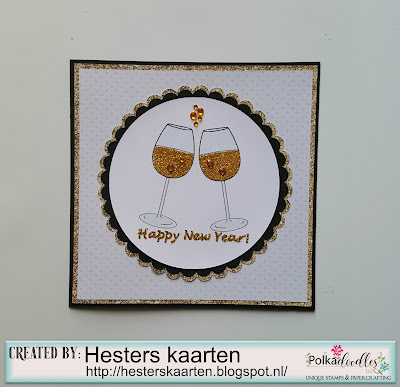 Katrina ~ My New Year card is for my son! I used paper from Octavia Moonfly Paper Heaven 4 and the gears are from Winnie in Wonderland Steampunk Cogs and Wheels and Winnie/Wonderland Steampunk Cogs/Wheels. 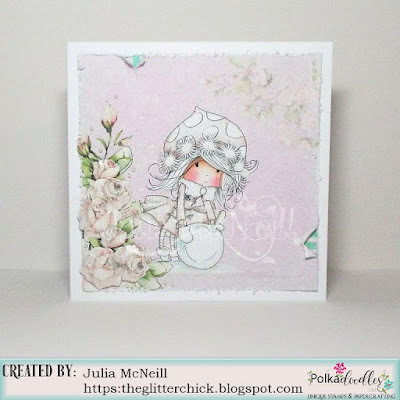 Jane P - I used a new revamped collection on my card this week called Eastern Dreams. 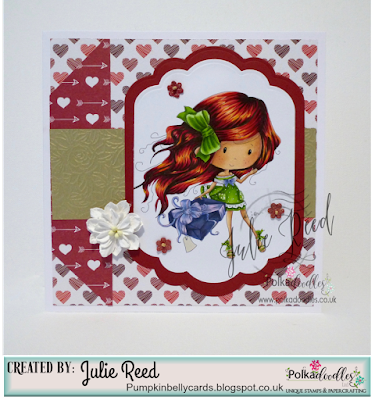 I added Pocketfuls of Love-January image. Julia I have friends moving home next week, So I have made a New Home card using Winnie Fruit Punch ... and the Fabulous Elegant Alphabet stamp set .. which I am in love with!! Full details on my blog. Željka-Hello!! 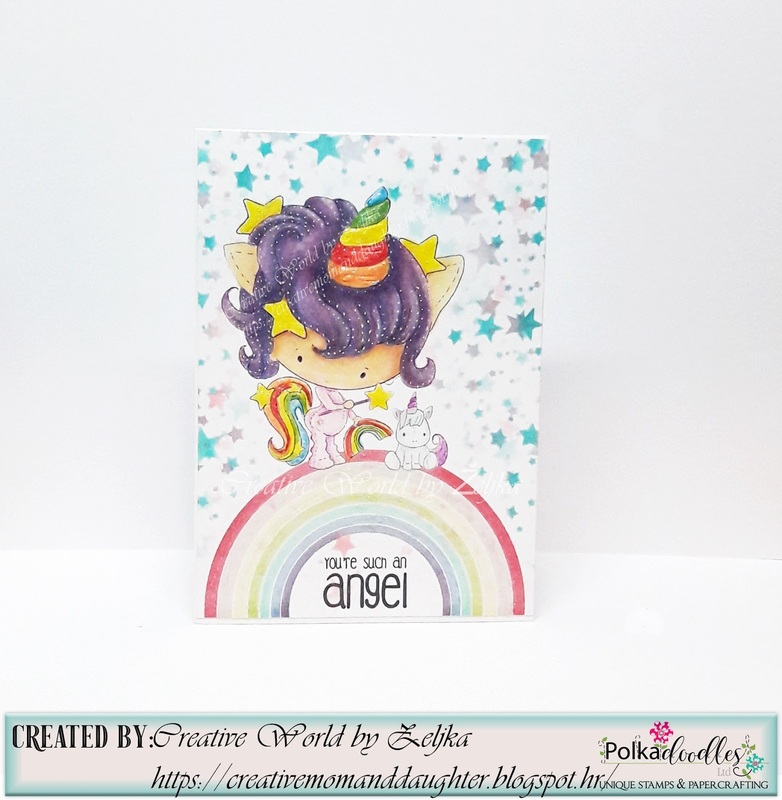 !For this week challenge I used adorable Unicorn baby image from Lil Miss Sugarpops 1 Download Kit to make a card for my daughter friend and her new baby. Claims must be received by 22/12/17, please refer to Challenge rules at top of blog. 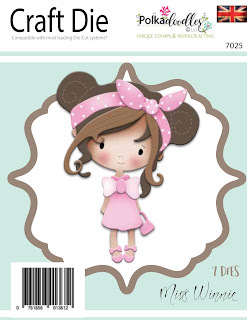 Please email us sales@polkadoodles.co.uk quoting DCW500001 to claim your prize of 3 digi images from the digi store! 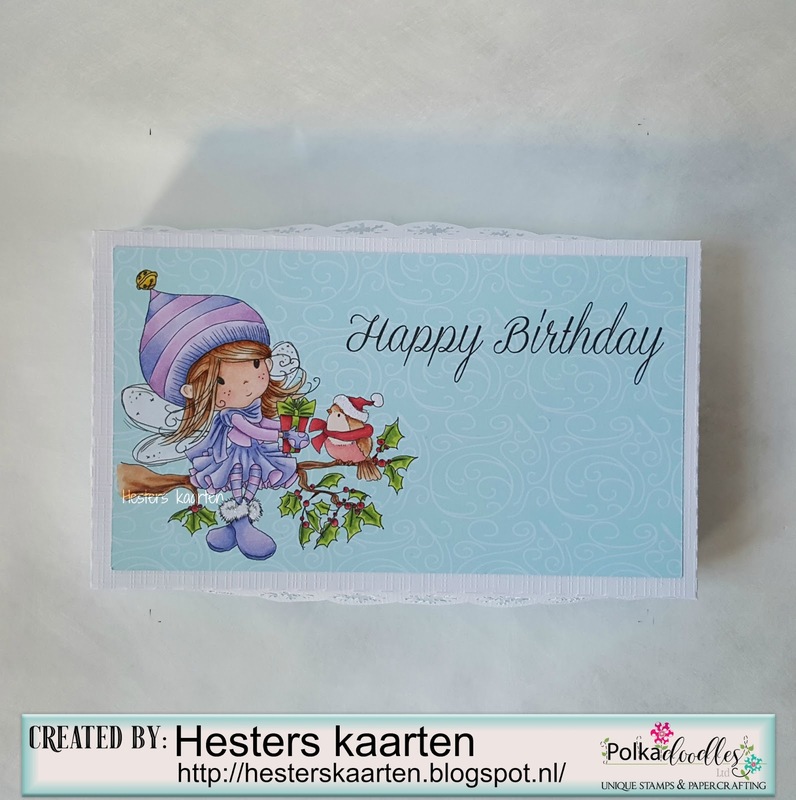 Jane S - I have used the fabulous January - See the Signs to make a chilly birthday card digitally adding both the sentiment and snowflakes. 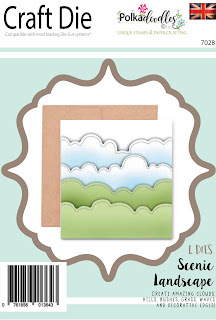 The gorgeous die cut framing the image is the Bubbleicious Frame Set. 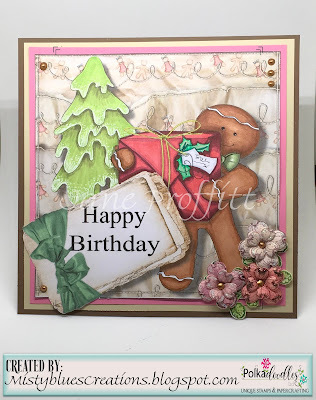 Yvonne - This week I am playing with Winnie White Christmas. I used the precoloured image Watch Your Step, which is available on the main collection but if you want the b&w digi, it can be found here. The papers are from the main collection. I made a 7x7 card but the frames are from Polkadoodles and can be found here. 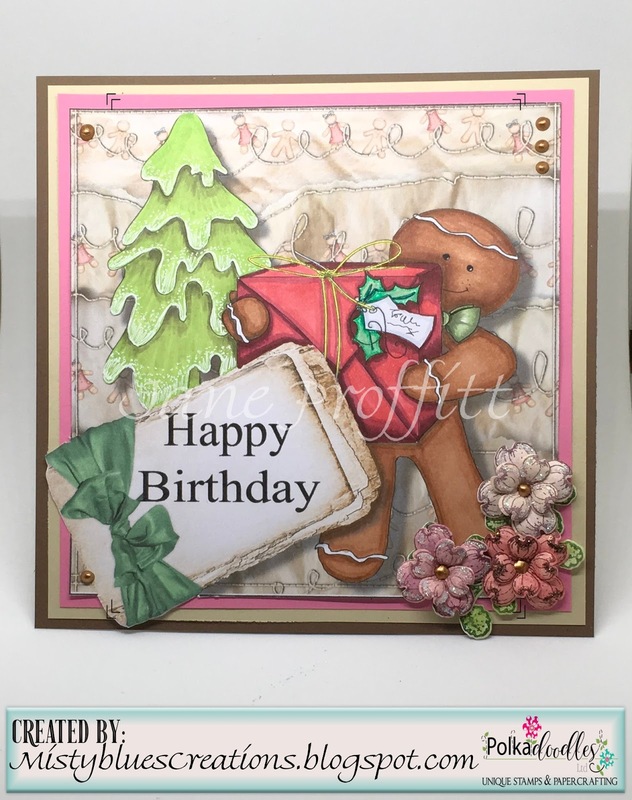 Jane P - This weeks Christmas birthday was created using the Picknix 2 Gingerbread Twist Collection. 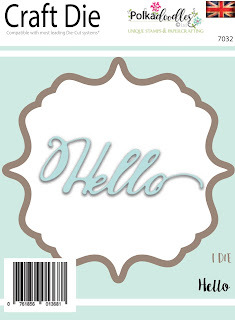 I merged images, paper and tag in Craft Serif. Julie Reed - For my winter birthday card, I have tried to stick to traditional Red & Green, but I think I lost my way with the purple present! Image is from Winnie Fruit Punch and coloured with Copics. 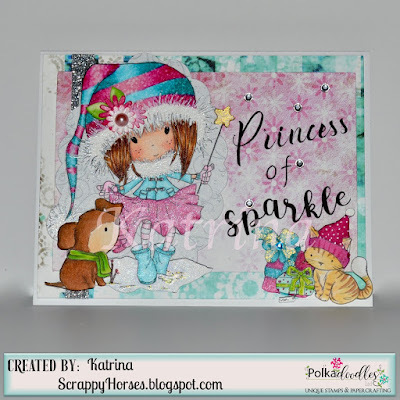 Julia Hi, for my make I have combined Winnie White Christmas and Winnie in Winterland ... I have used Seriff & layered various background papers and played with transparency settings to create my background, I then framed Winnie with some Winter roses, added lots of glitter and paint splashes to give a wintery feel. 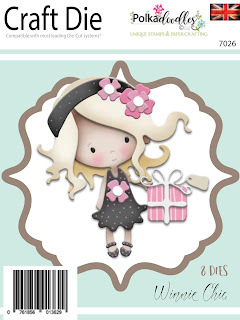 Katrina ~ I have combined several collections for my card, but the adorable images are all from Winnie White Christmas. 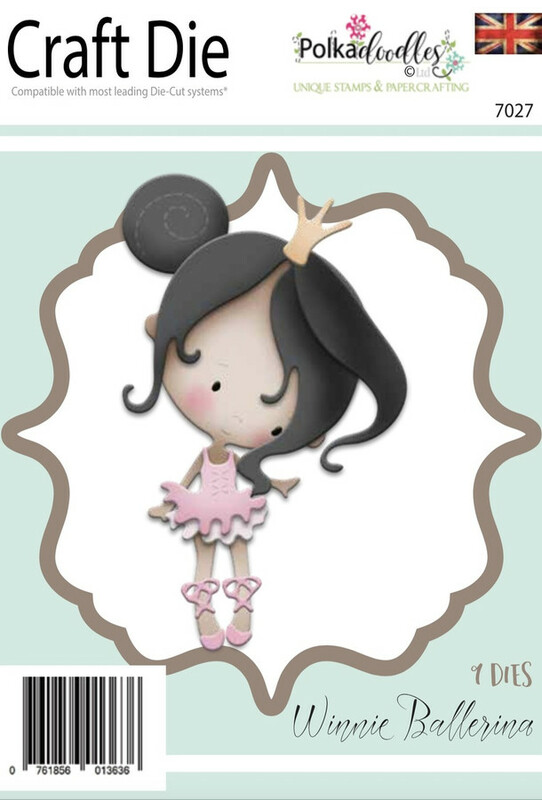 My youngest grand-girl has a winter birthday; she is definitely the "Princess of Sparkle" around here! 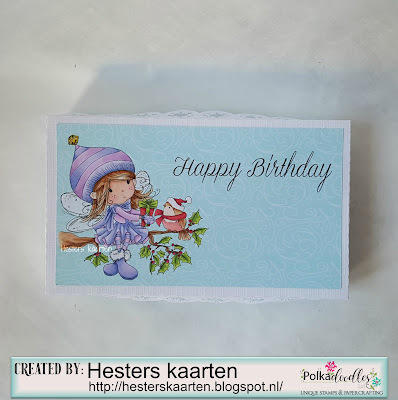 Anjie - I have used the stunning Frosted Winter collection to make this circular easel card. I printed everything on matt paper as it suits these images so well, and makes them more vibrant. I fussy cut them all out and mounted in place with 3D foam. I printed the image 3 times and decoupaged it up. More info and details on my blog. Claims must be received by 15/12/17, please refer to Challenge rules at top of blog. 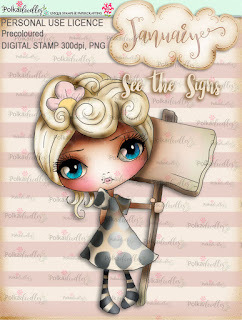 Please email us sales@polkadoodles.co.uk quoting DCW490001 to claim your prize of 3 digi images from the digi store!